ICON Theatre, a Kent-based, national touring company producing physical and visual theatre, come to the Edinburgh Festival Fringe (2011) for the first time to premiere their brand new production, RELEASE, at the Pleasance Dome (Kingdome) from Wednesday 03 to Monday 29 August 2011. RELEASE fuses high-energy physical theatre, an original score and mixed media to create an explosive yet moving insight into just how hard it is to go straight. Story: Six weeks after release, three ex-prisoners struggle on the outside as they attempt to reconnect with the people and the remnants of life they left behind. Kyle searches for work but finds offers from old friends more and more tempting; Hitesh cuts himself off from friends and family and dreams of the open road; while Becky has lied about her past and lives in constant fear of being found out. The talented cast of three multi-role playing actors includes Shane Shambhu (Ramanujan in Complicite’s A Disappearing Number) and Verity Hewlett (Queen Victoria in Queen Victoria’s Men, Channel 4 and New Perspectives). For RELEASE, Icon Theatre has pulled together a top quality creative team. It includes Mamoru Iriguchi – designer (London Evening Standard Theatre Awards 2009 winner for Mincemeat, Cardboard Citizens), Nancy Hirst – director (Young Vic, Yvonne Arnaud and Soho Theatre) and Ola Animashawun – script mentor (associate director of the Royal Court Theatre & Head of the Royal Court Young Writers Programme). The production has been created by the company through a two-year process of research and interviews with ex-offenders, prisoners, probation officers, criminologists and hostel managers, as well as site visits to hostels, prisons and probation offices. The project has had development support from the South Hill Park Arts Centre, the Pleasance Theatre, the Brook Theatre, the Toynbee Studios, an R&D award from Arts Council England South East and a work-in-progress showing at the Young Vic. For previous Icon shows: “Fantastic…. 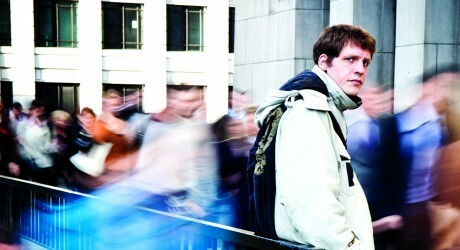 A fun evening out” The Evening Standard, “Inventive, funny and interesting” Time Out and “A theatrical treat” The Stage. Icon Theatre is a Kent-based, national touring company producing innovative physical and visual theatre. Working with diverse collaborators from different backgrounds, each of our shows generates a unique combination of theatrical techniques, blurring the boundaries between movement, text, film, dance, music and puppetry. Formed in 2002, we have been touring rural and small scale venues for the last eight years, and as a result we like to think of ourselves as a well kept Kentish secret! Release is our first production to go to the Edinburgh Festival. Previous work includes Gradgrind/ Hard Times (UK tour & Warehouse Theatre Croydon), The Odyssey (UK tour), The Canterbury Tales (UK tour), The Men’s Room (Warehouse Theatre Croydon), and Skeleton Woman Lady Death (BAC). Icon Theatre are a permanent resident company at the Brook Theatre, Chatham.